On paper I should have easy access to Waitrose, I work and live within a mile of two different stores. However the reality is both stores have stupid road systems in the way so I very rarely go – I usually only go in order to pick up the free monthly magazine for mum. 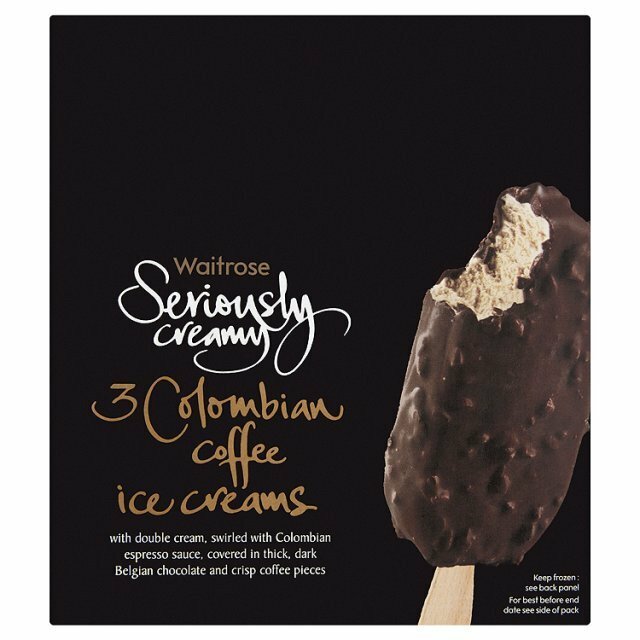 However then I tried their ownbrand Seriously Colombian Coffee Ice Cream Sticks and I may have to try a little harder to make it there! The chocolate coating is decent chocolate and has coffee pieces embedded in it, the ice cream is creamy and a decent flavour without being too strong. I haven’t dared look at the nutritional content of these but they are very nice – and I don’t even like coffee! Channel Hopping found me the video for King 810’s ‘Fat Around the Heart’, I vaguely recognised the name (they used to just be called King) and the video was interesting in a thuggish sort of way – people with hoods and bandannas running amok in an urban environment. Musically it wasn’t anything overly original but the vocals on the chorus made me laugh. At which point I wondered what else King 810 had done and where they came from – I was aware that they are currently signed to Roadrunner Records. Given Roadrunner’s track record this generally means the band are going to get massively screwed – or they may be one of the lucky (?) ones who the label keeps churning out the same sound for ever. Possibly the most interesting thing about King 810 is the lack of official background currently available on the internet. The videos make it clear that King 810 consider Flint, Michigan to be home, which could be seen as telling given the crime rate, economic melt down and general anarchy that has plagued the area since the mid 2000s, the seed was which was sown by General Motors closing down pretty much everything in the 1980s. Typing “king 810” into a search engine tends to get results along the lines of assault, bad behaviour and the word “hater” being used way too much by the bands ‘fans’. The more vocal internet-using fans seem pretty offputting to the point where I am going to refrain from commenting further. However as King 810 have recently been announced as touring with Slipknot they will probably only get more vocal and hard to avoid. There are a lot of cowboys in this world, I am using the British definition of the word so think less big hats, old fashioned values and horses, but more dishonesty, scams and lying. 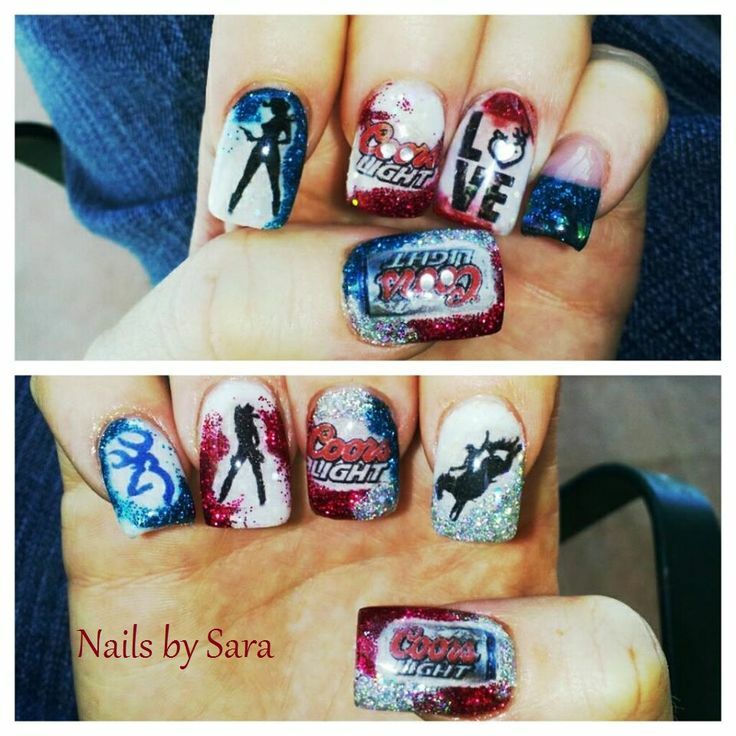 I won’t get into the gory details but it was amusing enough (in an ironic sort of way) that looking at cowboy themed nail art seemed a nice touch to my week! 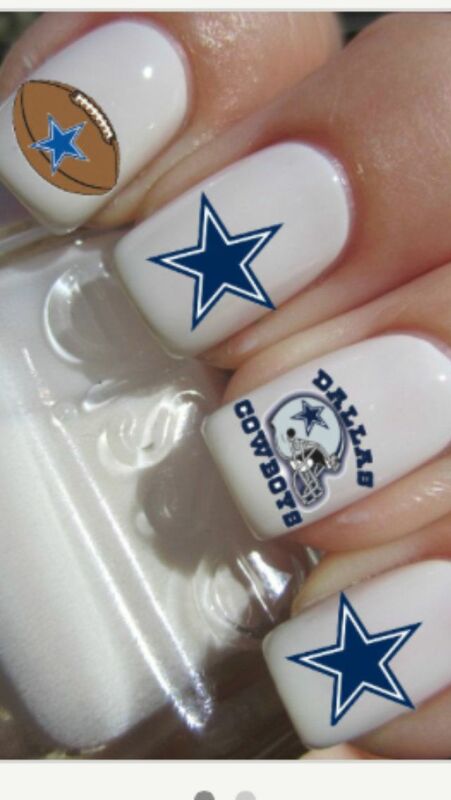 However I forgot that the internet is fickle, when I looked for “cowboy nails” I was thinking big hats and horses… maybe guns… but instead I got American football. Personally, and this is purely a personal opinion, having alcohol related nails might be a sign that you have a problem – seriously. 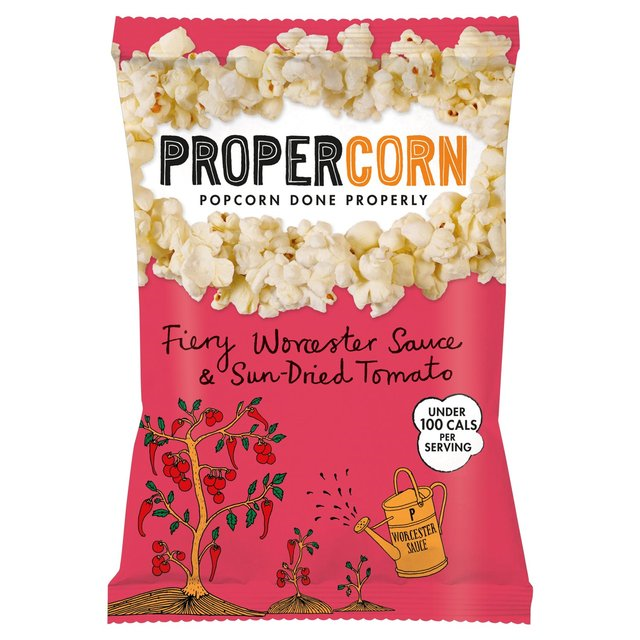 Food: Propercorn – Nom, nom, fire? It’s Tuesday so should be a film post – however popcorn counts as you eat with a movie. 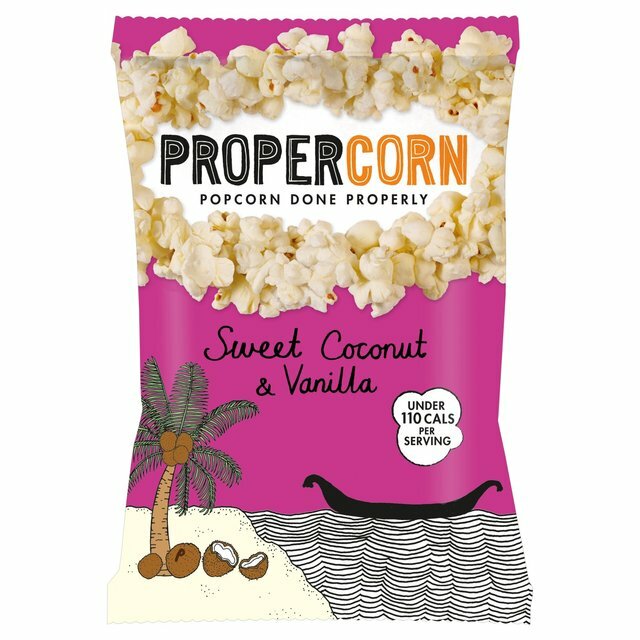 Propercorn prides itself on being “popcorn done properly”… which seems to mean small portions, funky sounding flavours and high prices. There happened to be an introductory offer which was good enough to tempt me into buying the ‘Sweet Coconut and Vanilla’ flavour and the ‘ Fiery Worcester Sauce & Sun-Dried Tomato’ flavour. The sweet flavour was very nice, although it was slightly odd having a mild salt taste under the sweet! The fiery flavour really was fiery! I use chilli in stir fries and have been known to crave crispy chilli beef from the local Chinese but I did find this popcorn a little too strong to eat without a glass of milk handy! 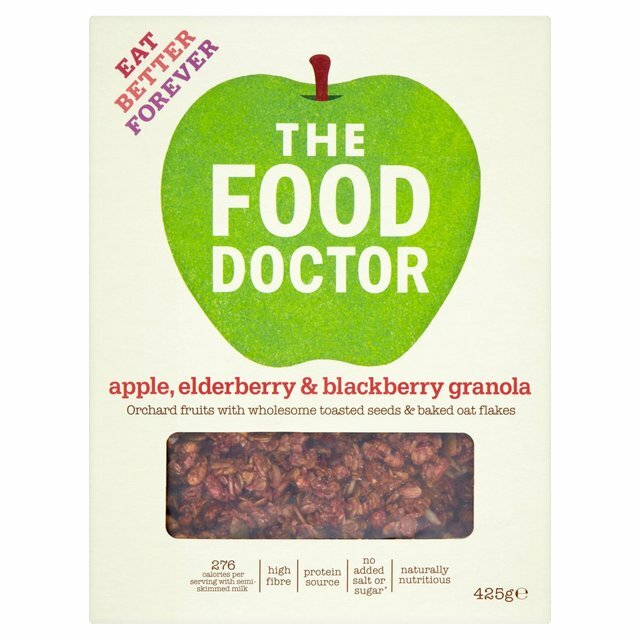 Food: The Food Doctor’s Apple, Elderberry & Blackberry granola – What are your medical qualifications exactly? It’s a Monday, this should be a book post, but as I feel that eating a book would be preferable to eating this granola I think it counts. I can’t remember why I started eating granola, it was probably some dodgy recommendation from the guy at the gym. Either way my granola of choice is an expensive brand so I am always up for trying another brand if it is on offer. This is how I ended up trying The Food Doctor’s Apple, Elderberry & Blackberry granola and this is why my open-door trying policy is officially ending. It tastes like indifferent granola was soaked in cheap squash and then chucked in a packet with some random seeds. I tried it on two separate mornings and the rest of the packet is going in the bin, I never bin food but this is too rubbish to eat. I won’t lie, I’ve been in a very angry place this past week, a combination of disruption to my gym schedule by paperpushers trying to save pennies, two overly aggressive male cyclists being utter dicks, a massively passive aggressive prat at work being such a gutless coward and the Foo Fighters being on every single time I stick on a music channel. That may well be the case but I nearly spat out my first mouthful as it taste of overly sweet stale cold tea. 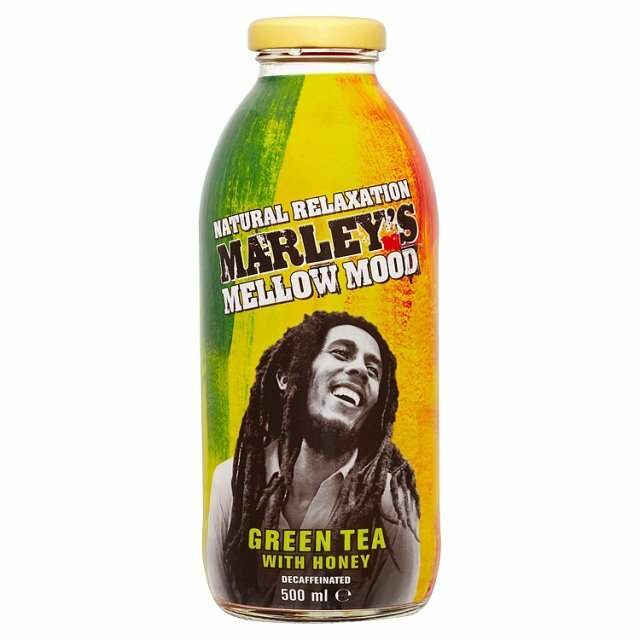 I probably should have seen this coming given the ingredients are decaffeinated green and black tea extracts, herbal extracts and honey, but the desire to chill out overrode my common sense. My fabulous spouse drank the rest of the failed experiment with a look of resignation whilst I frantically scrabbled to think of a way to ditch the massive reserve of bubbling anger that I still had. 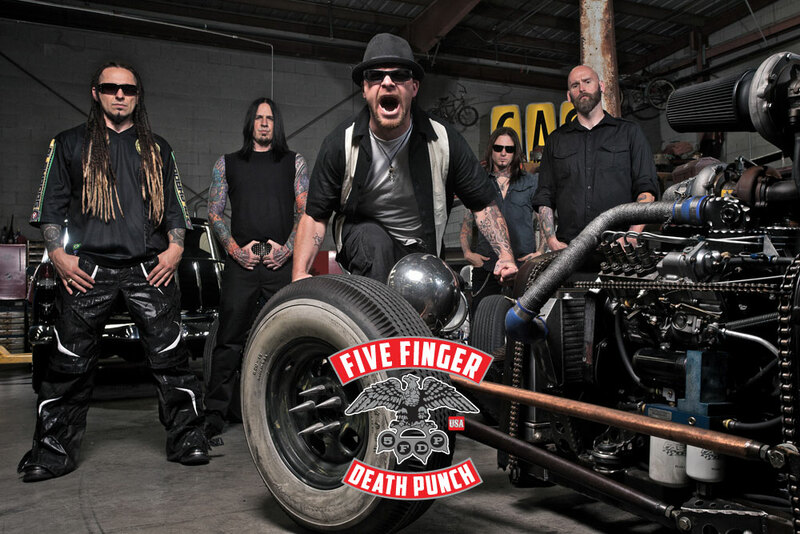 I should probably have tried to mediate, but 1,000 calories of chocolate, a bottle of pre-mixed vodka and Five Finger Death Punch have made me feel pretty good so we will call that a win. I may have officially found a brand of trainers that my knee doesn’t hate. Given I am 92% sure that it was a pair of Nikes that finally helped me REALLY screw up my knee I am avoiding that brand like the plague forever more. Skechers are ok for walking around shoes but lack the support and structure for me to use as serious workout shoes. 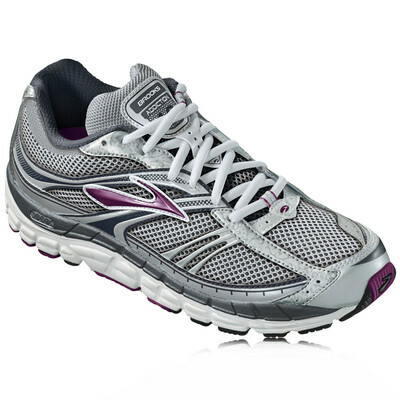 However I am now on my second pair of Brooks – both of which have been sale purchases, and I do like them – although I am wondering if getting a whole size bigger wouldn’t have been smarter than a mere half size… however I will try to remember that for next time.